Once described as “the greatest Mexican painter” by her lover Diego Rivera, Kahlo’s innovative and avant-garde works continue to capture audiences worldwide. 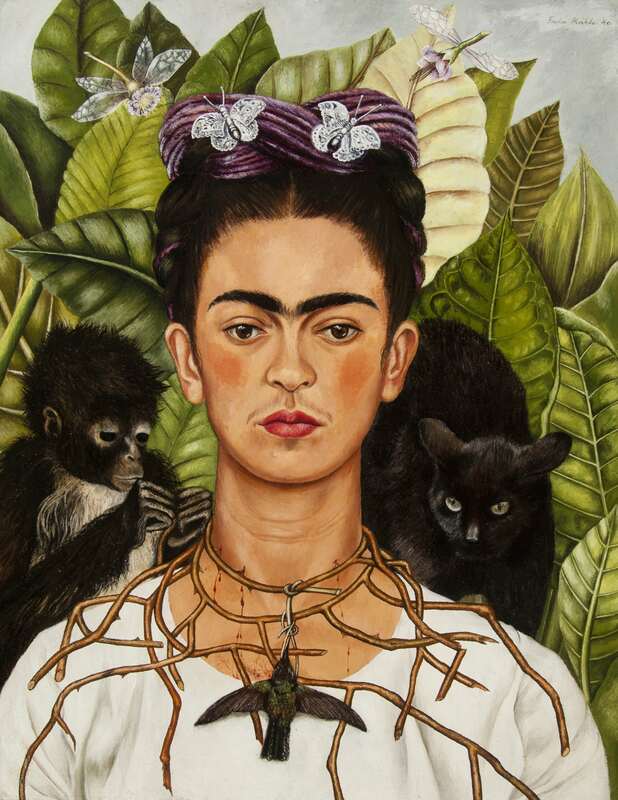 And, through June, fans of the artist will get a chance to see eight of her original paintings at Boston's Museum of Fine Art—the institution’s first-ever Frida Kahlo exhibit. Frida Kahlo, Self-Portrait with Hummingbird and Thorn Necklace (detail), 1940. Oil on canvas. Nickolas Muray Collection of Modern Mexican Art, Harry Ransom Center, The University of Texas at Austin. © 2018 Banco de México Diego Rivera Frida Kahlo Museums Trust, Mexico, D.F. / Artists Rights Society (ARS), New York. Born at the turn of the 20th century, Kahlo's art was brought to life by her tumultous relationships, enduring physical and emotional pain, and ability to capture Mexico's essence through the prevailing magic realism and folk influences found in her works at the time. Frida's signature style also caught the intrigue of many; who could forget her trademark braids—with flowers entangled—and iconic eyebrow, the latter of which have been emblazoned on nearly every type of Kahlo merchandise known to man. At one point Kahlo become so famous that singer Madonna began collecting her works, allegedly phoning into a 2006 auction to bid on a multi-million dollar portrait the artist made in 1943. Kahlo’s most expensive painting, “Two Nudes in the Forest (The Earth Itself),” netted a record-setting price of $8 million dollars in 2016—the highest for any painting by the Mexican artist. Kahlo, who only created 200 or so pieces, including paintings, sketches, and drawings, 55 of which are self portraits, remains a sought-after name in the ever-expanding world of art. So it's no wonder that, for the ultimate collector, owning a Kahlo painting is a quintessential gem in any trophy room of art. When collecting your next pieces keep in mind these essential tips. The art market is always in flux. That is not to say that particular pieces of art won't provide a return on investment, but rather that various elements such as the subject of the art, its creator, and its theme actually dictate its pricing. Also expect the artist’s previous sales to impact the work as well. So, before you pay a visit to an auction house or gallery, do your research to find out whether the work in question is a fit for you and seek out an appraiser with the knowledge to guide you toward an appropriately-priced deal. One of the gravest mistakes a collector can make is not doing the groundwork needed to purchase a work of art. 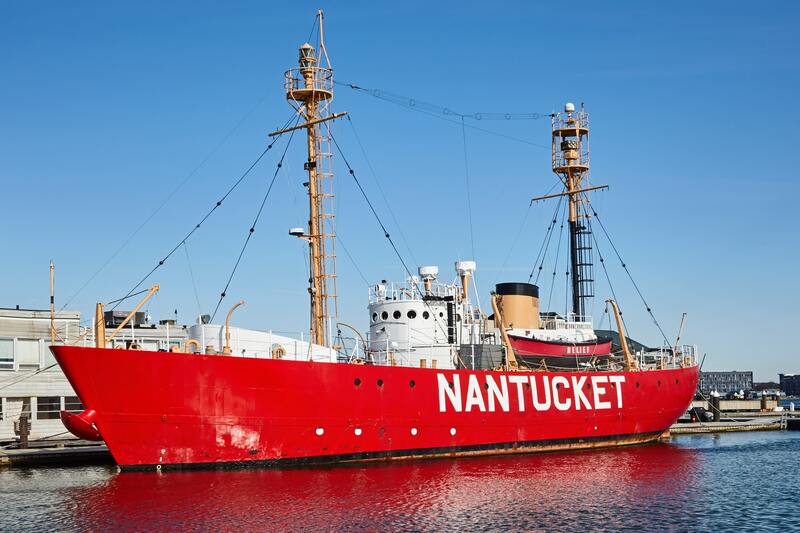 You won't find many homes literally on the water, which makes this Nantucket Lightship all the rarer. After a little bit of research, we think a painting of George Washington's gallant journey across the Delaware is appropriately at home in this floating lighthouse. Perhaps the best advice is to acquire art that you are passionate about. If you love Kahlo pieces, make a point to monitor the market for auction houses that might acquire her paintings, but if you love hunting for new artists on the verge of breaking out, keep your ear to the ground and ask plenty of questions the next time you visit a gallery or chat with an art expert. No matter the subject matter, there’s always something interesting to pique the interest of any ambitious art collector. It only seems right that the stellar views from this dazzling Millennium Tower Grand Residences home be paired with the most extravagant of art pieces. 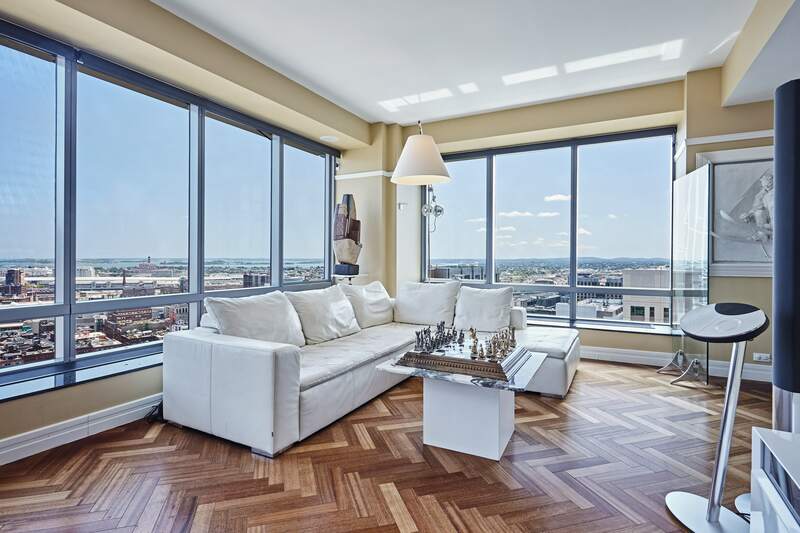 A colorful Jasper Johns painting would look resplendent over the fireplace across from the floor-to-ceiling windows that give way to a view of the city. Make your latest acquisition the centerpiece of your home, whether that means enshrining in the foyer, for a walk-in impact, or the living room, where gathering friends can get their fair share of glances. The greatest pieces of art inspire a level of intrigue in even the most experienced observer and provide for the perfect ice breaker at any dinner party. 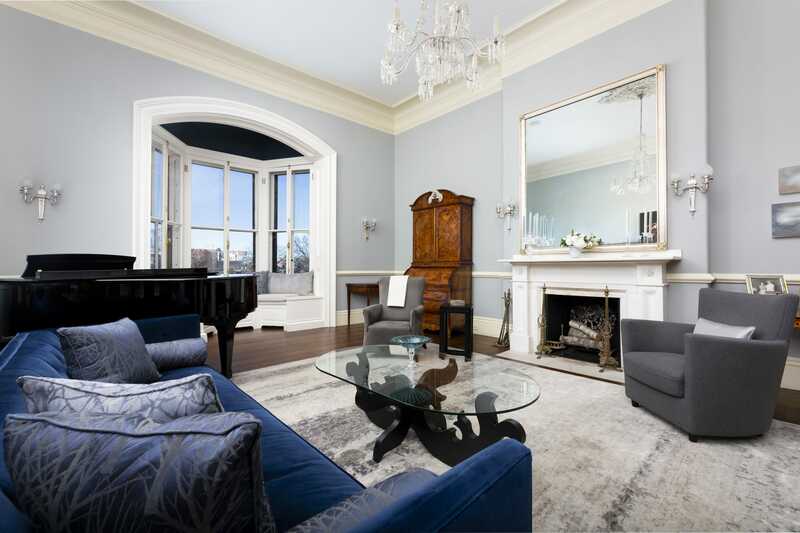 High ceilings, ample room, and sophisticated design make this Back Bay brownstone from Douglas Elliman, the perfect space for any discerning art collector to hang his most awe-inspiring pieces. Replace the mirror above the mantle in the living room with your own Mona Lisa or find a home for your Basquiat opposite the stairs. People change, and their needs are always evolving. Don't be discouraged if a new favorite replaces an old standby. It's important to analyze and revisit pieces every few months. There is a thrill in discovering something entirely new about a work of art when it enters a different space in the home, so don't be afraid to mix it up a bit. 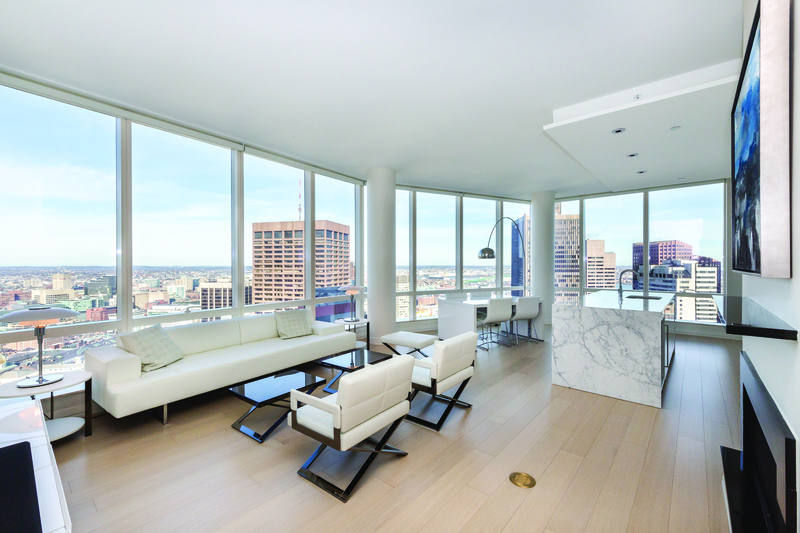 There's plenty of room in this 1,600-foot Midtown home in the Ritz South Tower for an entire art collection and more. The two-bedroom, two-and-a-half-bathroom property with various rooms (formal dining area, living room, and kitchen) and luxury amenities makes for the perfect space to experiment with a variety of art pieces. We love the idea of an Andy Warhol greeting guests in the entryway. Want to start your search for the perfect property in Boston? Visit elliman.com to view these listings and more right now.